As dogs age, wear and tear becomes an issue and the management of pain and inflammation is paramount. That’s where our remarkable senior citizen dog kit comes in, with its combination of Joint and Muscle and CBD Formula. These products work in conjunction to ease discomfort, pain and inflammation. Aging in dogs can lead to many of the same problems in humans, with the rigors of getting older taking a toll on bones, joints and muscles – all at the same time. For dogs, joint sensitivity can lead to difficulty getting around. This can turn everyday activities into chores, which diminishes the quality of life for dogs and their owners. The Joint and Muscle Formula can make all the difference in the world by addressing the problems of aging head-on and getting to the heart of the matter. 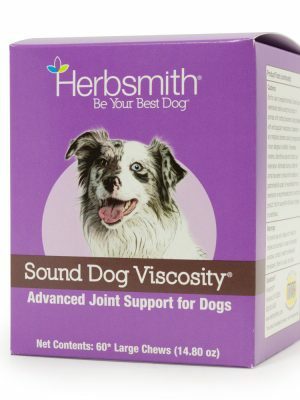 Using an all-natural herbal formula, this product reduces the pain and inflammation in joints, relieves stiffness that leads to movement issues, eases soreness in the back and hips of older animals, and builds full nutritional support for healthy cartilage, bones and joints. Featuring a full complement of all-natural herbal ingredients, the Joint and Muscle Formula relies on a blend of components for total body relief. This helps treat a host of problems, including arthritis and muscle strain. 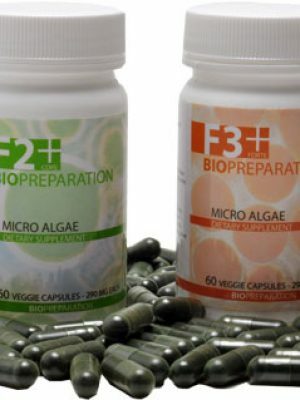 It can also be used for preventative therapy, with dosages applied for maintenance on a daily basis. Because the ingredients of Joint and Muscle Formula are all-natural, there are no detrimental side effects. This product is safe to use. Some pet owners have even missed this formula with a high protein, low carb diet to enhance the overall results and lead to diminished inflammation in older dogs. What is the best pain reliever for joints naturally? Joint and Muscle Formula should be used two to three times daily. Drops can be distributed directly into the dog’s mouth or mixed with food at mealtime. Cats and dogs under 20 pounds should be given two to four drops per dosage. Dogs 20 to 50 pounds should be given five to seven drops per dose, while dogs over 50 pounds should be given eight to 10 drops. A safe and gentle option for pet health, CBD is the perfect complement to Joint and Muscle Formula. It provides a calming and consistent treatment for many of the problems of aging, addressing everything from digestive issues to anxiety and stress in older dogs. Made from the hemp plant, it is non-toxic and non-psychoactive. It is safe for short-term and long-term use and is not noted for interacting harmfully with any other medications, making it the perfect component for part of this senior citizen dog bundle. Dosage is two to three times daily. Cats and dogs under 20 pounds should take doses of five to 10 drops per dose, directly into the mouth. Dogs 20 to 50 pounds should use dosages of 10 to 20 drops, while dogs over 50 pounds can take 20 to 30 drops per dose.